The MDX has long been a popular staple of the Acura lineup, but this SUV has received a stunning makeover for the 2017 model year. Longtime fans of the MDX line will notice the distinctive new look and upgraded technology, while new MDX drivers will be amazed by the smooth handling that has become a defining feature of the line. Whether seeking a spacious commuter or a versatile family car, Acura’s newest offering is bound to exceed your expectations on every drive. Take one look at the 2017 Acura MDX and you’ll be blown away by the bold features. The diamond pentagon grille makes quite a first impression with its geometric angles and iconic, embedded badge. While examining the profile, you will notice aggressive sculpting that creates a sharper and dynamic silhouette. From the hood to fascia to the fenders, every element flows harmoniously together. The LED fog lights and Jewel Eye headlights shine with a brilliant glow, so drivers can see clearly during any time of day or night. A new rocker panel adds a hint of chrome to the MDX, contrasting against the body colored skid garnish. Finally, the twin tailpipes add a sporty touch to complete the athletic MDX makeover. While the exterior is a work of art, the interior holds its own with a number of high-tech upgrades. Tech-savvy drivers and passengers won’t have to fight over the USB charging ports, thanks to the four 2.5-amp ports around the cabin. Easily plug in phones and tablets during a long road trip to maintain a fresh battery. As for entertainment, SiriusXM Radio 2.0 provides endless audio content without commercial interruption. 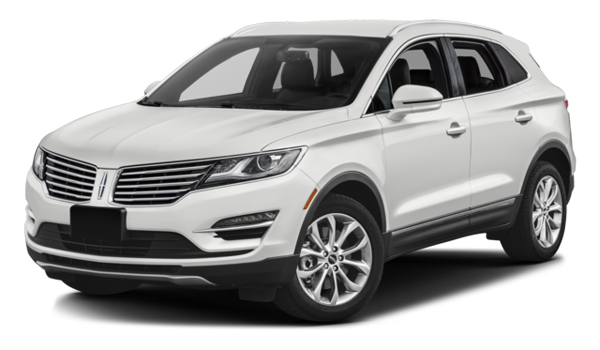 You can also take advantage of the Technology and Elite packages to enjoy 20-inch wheels, wood trim, or even an entertainment system with ultra-widescreen display. The MDX lineup is well-known for a smooth and relaxing ride, and the 2017 model is no exception. Due to the popularity of the previous model, little has changed under the hood. Choose the standard powertrain for a well-balanced ride, blending a spirited performance with great fuel economy. Handling is improved with the addition of Electric Parking Brake with Automatic Brake Hold, which maintains brake pressure evenly during traffic lights or stop signs. Safety is better than ever, especially with the new addition of active safety systems as standard amenities. 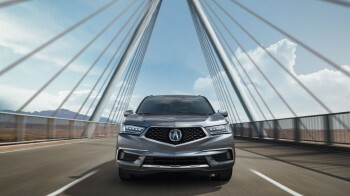 Every MDX is now equipped with advanced features like Collision Mitigation Braking, Lane keep Assist, Forward Collision Warning, and Adaptive Cruise Control. You’ll drive more confidently with the high-tech support of Acura behind you. While the standard engine options remain largely unchanged, the addition of the brand new Sport Hybrid powertrain and Super Handling-All Wheel Drive introduces new innovation into the lineup. The newest addition to the MDX family is the Sport Hybrid, which is now the third model to utilize Acura’s Sport Hybrid SH-AWD powertrain. Under the hood of this efficient powerhouse, you’ll find a 3.0L V6 engine with a peak output of up to 325 hp. The engine utilizes Variable Cylinder Management for a streamlined and efficient performance. The seven-speed dual cloth transmission creates a seamless feel when navigating the open roads. When the electric power kicks in, an integrated motor and Twin Motor Unit combine forces to send power to each wheel. The high-tech electrified torque vectoring aids in handling, whether zooming down a straight highway or taking a sharp corner. Further, Active Sport Suspension makes the most out of every drive with several dynamic modes. Pick from Comfort, Normal, Sport, and the new Sport+ mode for total control in any environment. Drivers can head over to Harmony Acura to explore brand new MDX models in person. 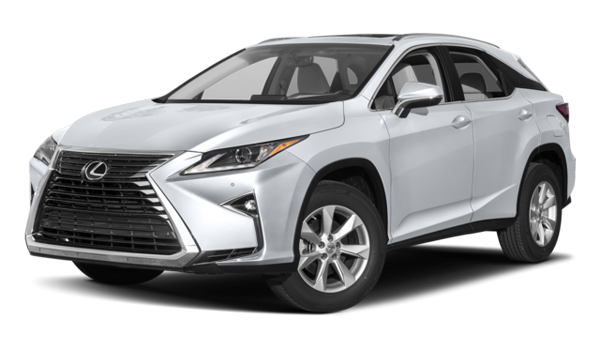 Between the striking looks and exciting performance, these models have everything that the modern driver wants in an SUV. Kelowna, West Kelowna, and Penticton customers will be impressed by the sporty 2017 Acura MDX or any other Acura on the lot. Harmony Acura is located in Kelowna, so drop by today! If you are visiting from out of town, then feel free to follow these simple directions or contact us online for more information. We are located at 2552 Enterprise Way in Kelowna. Our neighbors in West Kelowna can take Okanagan Highway/BC-97 to Enterprise Way to reach the dealership. Penticton drivers can take Eckhardt Avenue/Okanagan Highway/BC-97 North to visit us in Kelowna.